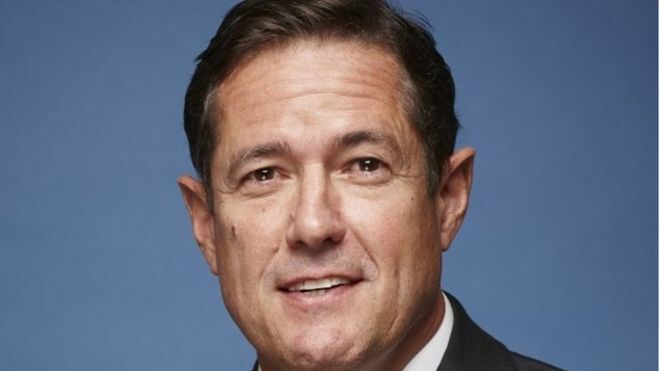 Jes Staley, the chief executive of Barclays, could lose his annual bonus after two regulators opened an investigation into his conduct in a whistleblowing case. He had tried to discover who wrote a whistleblowing letter to the bank. The Financial Conduct Authority (FCA) and the Prudential Regulation Authority (PRA) will investigate his conduct. Barclays will also dock Mr Staley’s pay, possibly by as much as £1.3m, or all of his annual bonus. He will also be issued with a formal written reprimand. Mr Staley said: “I will co-operate fully with the Financial Conduct Authority and the Prudential Regulation Authority, which are now both examining this matter. In June 2016, members of the Barclays board received an anonymous letter and a senior executive received another anonymous letter, raising concerns about a senior employee who had been recruited by Barclays earlier that year. The letters, which were being treated as whistleblows, raised concerns of a personal nature about the senior employee, and Mr Staley’s knowledge of and role in dealing with those issues at a previous employer. It also raised questions over the appropriateness of the recruitment process followed on this occasion by Barclays. Mr Staley asked Barclays’ internal investigation team to attempt to identify the authors of the letters, which the chief executive thought were an unfair personal attack on the senior employee. Mr Staley told the Barclays board he had been trying to protect a colleague who had experienced personal difficulties in the past from what he believed to be an unfair attack. He has apologised to the board, which has accepted his apology and said that Mr Staley “continues to have the board’s unanimous confidence”. Whistleblowers are a key weapon in the war against corruption and wrongdoing. Regulators rely on them to be eyes and ears within organisations as diverse as hospitals and banks. But whistleblowing only works if it’s anonymous. If bosses can hunt down those who raise concerns, then valuable information is less likely to surface. That’s why financial regulators are so concerned by the conduct of Barclays boss Jes Staley. Barclays conducted their own inquiry into this, led by Barclays’ deputy chairman Gerry Grimstone, and concluded that Mr Staley had made an honest but serious mistake by believing he was allowed to try and identify the sender. It remains to be seen whether Barclays decision to reprimand and hit its CEO in the pocket will pacify regulators, who may take a dim view of trying to expose their useful friend – the whistleblower. • June 2016: Anonymous letters are sent to the board of Barclays and a senior executive, raising concerns about a senior employee and Jes Staley’s role in recruiting that person. Mr Staley asks Barclays’ internal investigation team to identify the authors of the letters but is told this is not allowed. • July 2016: Mr Staley again asks the team to identify the author, in the “honestly held, but mistaken” belief that he has clearance to do so. They fail to find the author and no further steps are taken. • Early 2017: Barclays becomes aware of Mr Staley’s actions and instructs a law firm to conduct an investigation, while also informing regulators. • April 2017: The board announces it will formally reprimand Mr Staley and make a “significant” adjustment to his pay package, but adds that he retains its full confidence. The board also says regulators are investigating the bank and Mr Staley over the matter. Barclays chairman John McFarlane said Mr Staley had an otherwise exemplary record. “I am personally very disappointed and apologetic that this situation has occurred, particularly as we strive to operate to the highest possible ethical standards,” he said. His attempt to uncover the author came to light early this year. Barclays said in July 2016, Mr Staley enquired whether the whistleblowing issue with the letters had been cleared. Following this, says the bank, Mr Staley’s honestly held – but mistaken – belief was that he had clearance to identify the author of one of the letters. Thereafter, Mr Staley asked the internal investigators to identify the author of the first letter. They then got in touch with and were helped by an, unnamed, US law enforcement agency. That attempt to find out the identity of the letter writer also failed. An investigation by external law firm Simmons and Simmons found that Mr Staley “honestly, but mistakenly, believed that it was permissible to identify the author of the letter”. In the event, the author of the letter was not identified and no further action was taken.